Last week, I covered how to enable Student Mail through the stock Email client on Android. As you may remember, I didn't entirely recommend it, as this required the Email app to be given the permission to wipe your device without warning, among other things. Happily, I've done some more research into the matter, and found a far better solution. 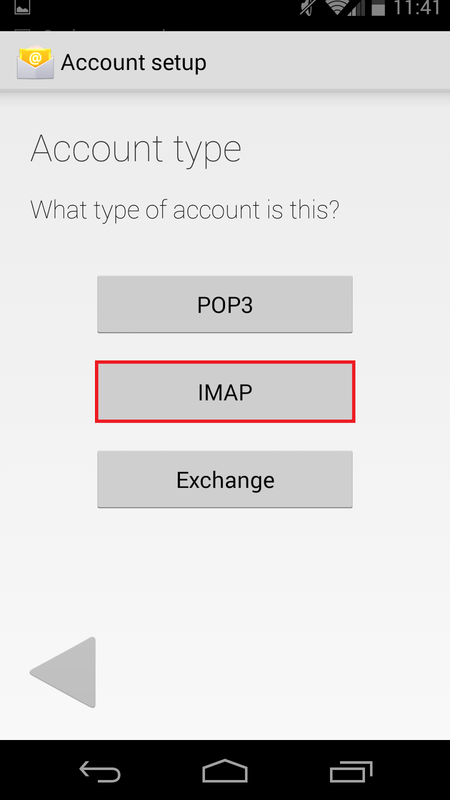 Instead of creating a Corporate Exchange account, instead we'll create an IMAP account on the phone. This method requires no special permissions, and is just as functional as the previous method I covered. Unlike the other method, however, this only syncs your Email, and does not include your contacts or calendar from your Student Mail. 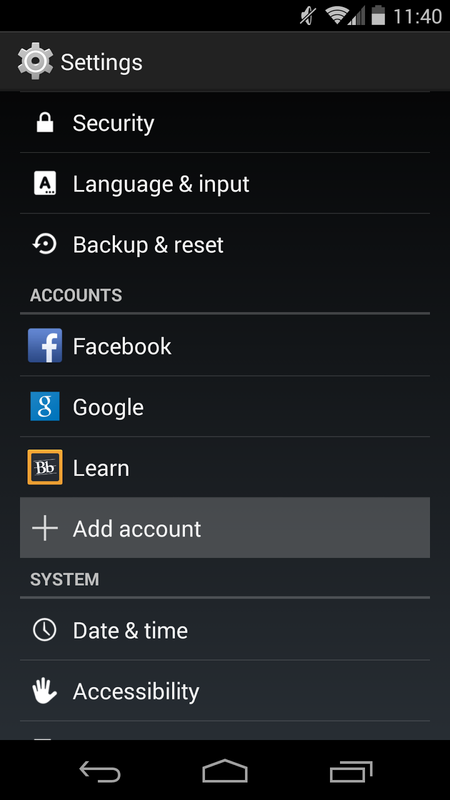 First, go to Settings, scroll down to Accounts, and tap "Add Account". 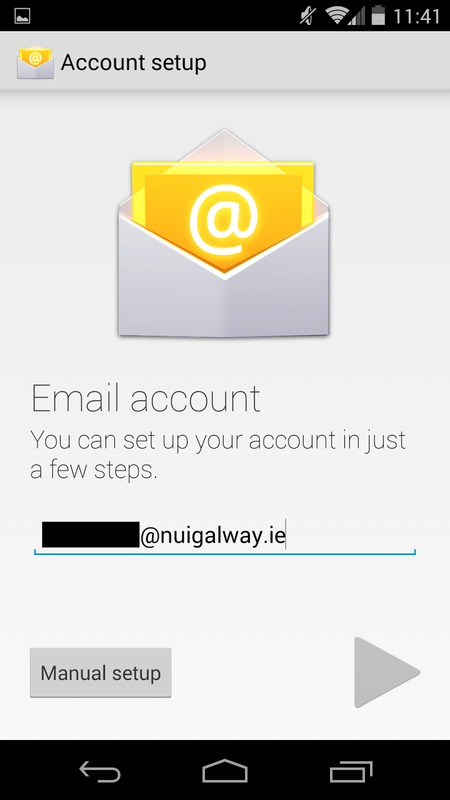 Enter your Student Email address, and tap "Manual Setup". 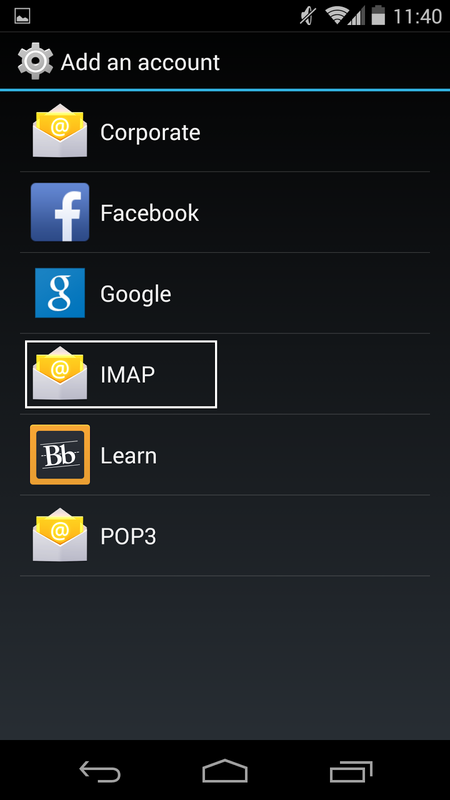 Then tap "IMAP". 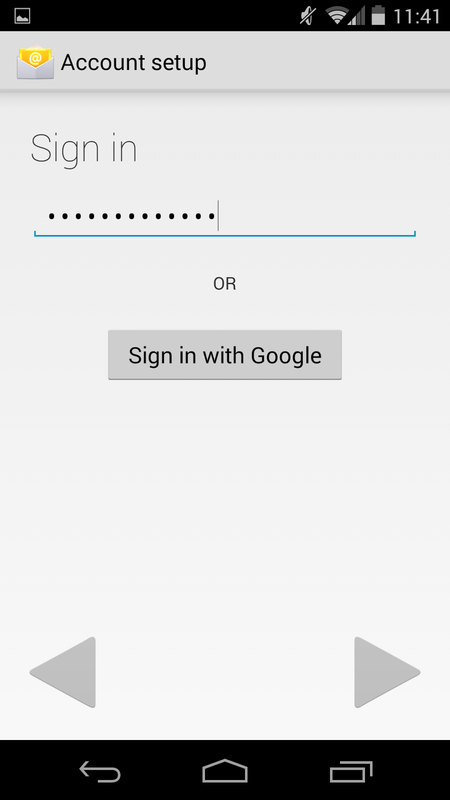 Type in your password and proceed by tapping the arrow in the bottom right-hand corner. 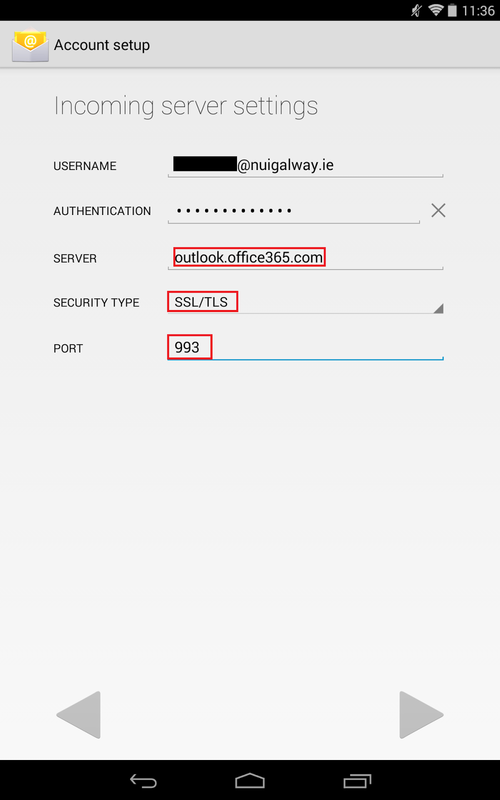 On the Incoming Server settings screen, change the server to "outlook.office365.com" as per the screenshot below. Set the security to "SSL/TLS", and make sure the port is 993. Tap the arrow in the bottom right-hand corner to continue. 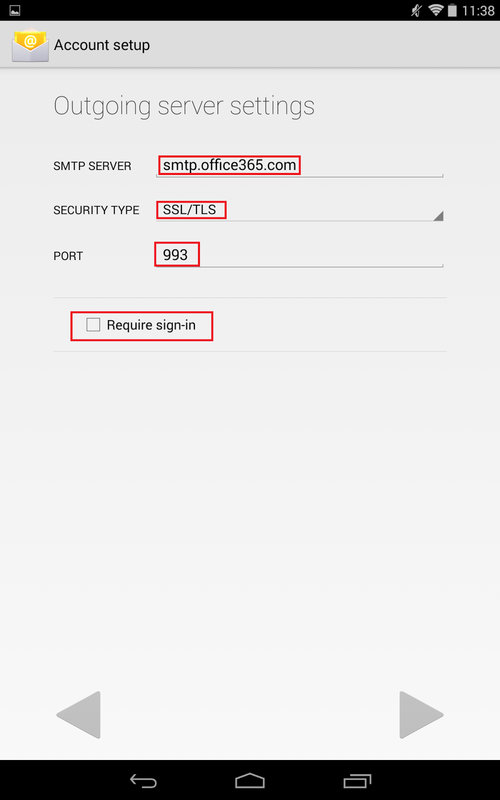 Change the SMTP server to "smtp.office365.com", the security to "SSL/TLS", and the port to 993. Ensure the "Require sign-in" checkbox is unchecked. That's it. You now have an Email app setup to sync with your Student Mail, with no ridiculous permissions whatsoever required. Enjoy!